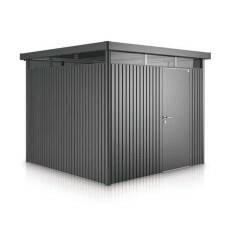 Biohort’ Highline is a heavy duty flat roof garden shed manufactured from high tensile, 0.5mm hot-dipped galvanised, polyamide coated steel. 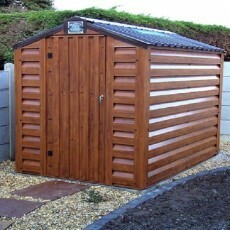 A very high end steel shed/workshop which is made to order to any size & layout. Multiple choice of options make this a very versitile product.